Don't Let Your Emotions Cloud Your Good Judgement. Set Goals And Delay Gratification. Don’t Let Your Emotions Cloud Your Good Judgement. Set Goals And Delay Gratification. By Peter Anderson 6 Comments - The content of this website often contains affiliate links and I may be compensated if you buy through those links (at no cost to you!). Learn more about how we make money. Last edited March 15, 2012 . This past weekend my wife and I got away to the woods of Northern Wisconsin for a few days of fun and relaxation on the lake (see a picture of the lake below). My wife's family used to own a beautiful cabin on a gorgeous lake near the town that we visited, and going there for vacation really got all the old memories flooding back of fun times at the cabin, and of being on the lake in her parent's boat. We walked through the town, and visited the cute little shops up and down main street. We ate lunch at an awesome outdoor cafe. We played mini-golf and rode the go-karts. We had a really good time. Then while we were sitting at dinner, we started dreaming about owning our own piece of lakeshore in this great little town. We talked about how we had always had such good times when we were at the cabin, and how some of our fondest memories of our young relationship had been out on the lake, and sitting on the dock at the lake house. We dreamed of buying our own piece of real estate on a lake in the area, and talked about how we could then get a boat, and store it there at the lake. We started thinking of all the ways we could make this piece of Wisconsin our own, and turn the summers at the cabin into a reality. We even started looking around at places while we were driving around, thinking about how the market was down right now, and we could probably get a great deal on a cabin or townhouse on the lake right now. Prices are probably cheaper on lake real estate than they have been in years! The cabin fever started creeping in, we really wanted to make the move! In reading a post this morning on another blog, it looks like we're not the only ones who were thinking about moving forward on a large goal, although I'm not sure I agree with how this person went about it (doing it without first talking to his wife). 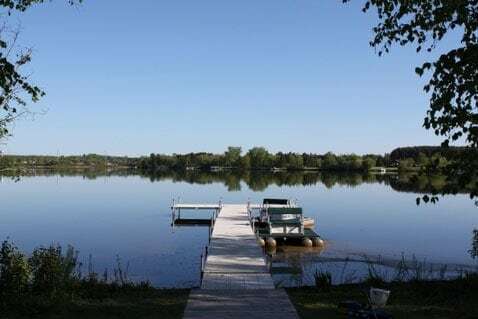 After talking about it all weekend, we started to come to our senses and realize that we aren't in any position to be buying a lake home right now. We still have a nice hefty mortgage on our principal residence, and adding another mortgage on a vacation home would just be silly. We realize that it just isn't the right time for us to be buying a cabin. On the other hand, I think it's ok for us to dream, and set a future goal of one day owning a cabin on a lake. It is something that we enjoy, and that we could share with others. Is it something we can do right now? No. But it is something that can motivate us, and push us towards achieving in our professional lives? I think so. I wrote about using goals to motivate you a while back. 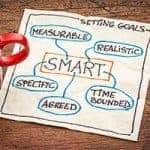 Goals can have an extremely strong motivating power – and the funny thing is, a lot of the time once you are able to attain the goal, it doesn't seem as important anymore. So for us, I think that moving forward on a vacation home or a boat just aren't good ideas right now. They will however be good motivating goals for us to work towards. Who knows, our views of living at the lake may change by the time we're ready to go down that road ( I doubt it, I mean, look at that picture of the lake above? Doesn't it just feel relaxing?). In the meantime having that goal will have a strong motivating pull for us, and will help us to reach our goals, whether it ends up being a cabin, or something else. Do you have a big goal that you're working towards attaining? Have you ever moved ahead on one of your large goals before you were ready, and were sorry later on because of it? Tell us about your big life goals, and how they have worked out for you. Last Edited: 15th March 2012 The content of biblemoneymatters.com is for general information purposes only and does not constitute professional advice. Visitors to biblemoneymatters.com should not act upon the content or information without first seeking appropriate professional advice. In accordance with the latest FTC guidelines, we declare that we have a financial relationship with every company mentioned on this site. Peter, you are the voice of reason. Sounds like a lovely time you had this weekend. Boy, I’ve definitely caught cabin-buying-fever before! I commend your self-control. It is easy to get caught up in such thinking. I agree that it is good to have goals, but we don’t have to attain everything right now. Let your goals propel you on and intensify your efforts to pay for what you already own. That cabin will be even sweeter and more enjoyable if you pay cash for it! I delay smaller items and put a few bucks away a week for it. My fav one is my vacation fund that gets 20 bucks a week from the wife and myself. Now our trip to Newport RI for our 1 year anniversary was paid for in cash, with extra spending money – nothing coming out of our main checking accounts and more importantly NOTHING on credit card. As far as bigger items like this cabin, why not do some math on purchasing one, it may end up being worth it. How many times have you heard the older generation (I think we are the same age) say, I wish I had bought this X years ago? My wife and I saw a house for sale last year that was everything we ever wanted in a home. We were gung ho about making an offer, but decided to go home and crunch the numbers. After calculating what our mortgage payment would be, we came to our senses, and decided to pass. I highly recommend using the cooling-off period before you get yourself into a financial predicament. I think Larry Burkett once said something like “For everything that costs $5 or more, I want you to wait until the next day before buying it. For everything that costs $20 or more, I want you to wait a week before buying it. Do this, and I think you won’t buy anything.” His point was, wait a duration of time roughly in proportion with the cost of the item to think it over and wait for any sporadic, unsustained emotions to calm down to what they will more likely be in the long run before buying something. It can be lots of fun to dream but it sure is good to come back to Earth before making that big purchase! My fridge went out recently and I was sure dreaming about replacing all my applicances at the same time. Thank goodness I came to my senses before making that huge purchase!